The Department of Athletics staff will host its second Monday with the Mustangs to raise awareness of MSU coaches, staff and athletes with the community. Monday with the Mustangs will be held at the Courtyard by Marriott on Sept. 10 from 5:15 to 6:45 p.m.
Kyle Williams, director of athletics, said the idea is to use venues as a place where we can have a little more room and be casual to develop new mustang fans who will be supportive of us. He said he wants the fans to certainly get to know our coaches, administrators and special guests. The event now takes place in the evenings at local businesses throughout the community, giving people within the community a better chance to support MSU athletics. Instead of a lunch being served, there will be hors d’oeuvres. The first Monday with the Mustangs was held last week and it brought a great turnout according to Amanda Snodgrass, assistant athletic director. 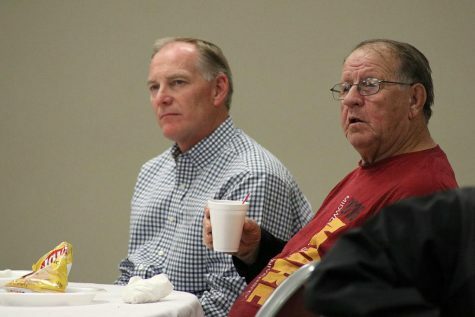 “Our first event we had 48 people, which already doubled the amount of people we had at the luncheons last year,” Snodgrass said. The event last week brought support for a variety of different sports. A lot of those people had never been to the event before. This was due to more publicity and accessibility. 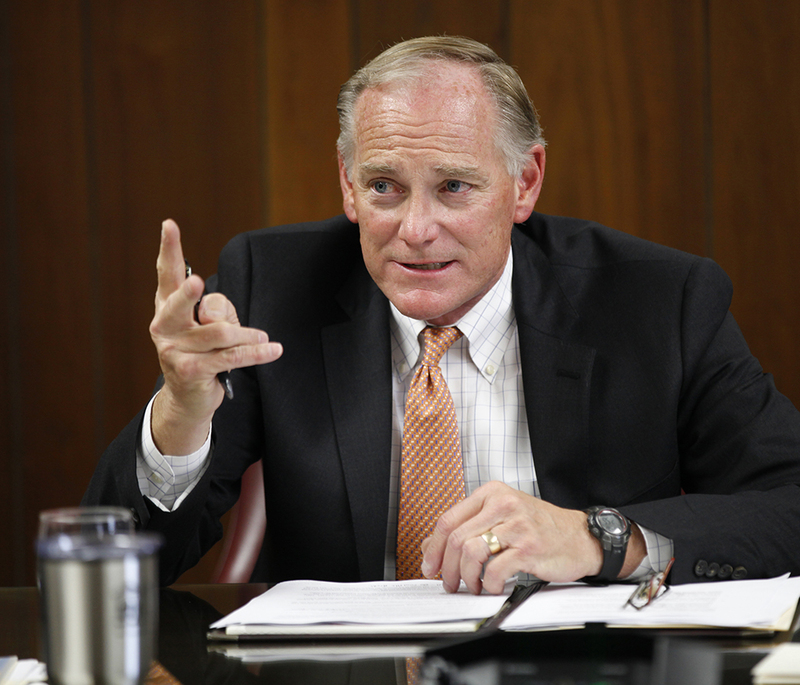 The department hopes to keep seeing new faces and old friends throughout the year. “We want the community to know that we want them to be a part of what we are doing,” Assistant Athletic Director Reagan Foster said. The athletic department staff wants the chance to meet and shake the hands of their supporters. The event gives the community a chance to ask the coaches and administration questions along with giving them new ideas. “The more you get to know people, the more you’re are probably going to support people so that’s why we have got to get out in the community through our student athletes and our department,” Williams said. 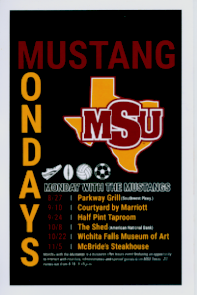 Monday with the Mustangs is an ongoing event that will be held at different locations every two weeks. There will be meetings to go over homecoming and campus events that correlate with sports. The event is open to the public and the department staff is encouraging people of all sorts to attend. “We are blessed to have one of the most competitive athletic departments in division II, so if you haven’t been to watch us play then you need to come and you need to get to know our coaches and our athletes because they are pretty fantastic,” Foster said. The opportunities to attend will continue throughout the year and into the spring with the spring sports. The meetings are every two weeks.